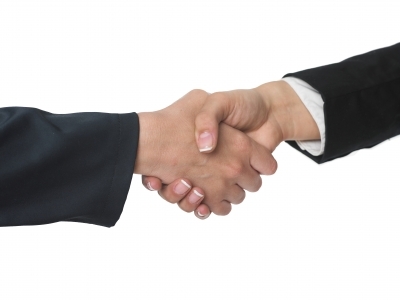 At iFormulate we’re proud of the strong relationships which we’ve built up with our clients. We’ve done that by taking time to thoroughly understand their needs and then deliver a highly professional and timely service. Whether our clients are looking for technical solutions or need ideas about new technologies or sources of expertise then we are on hand to provide insight and advice. Because we work across the many industries that make use of formulation technology (e.g. pharmaceuticals, cosmetics, agrochemicals, biocides, detergents, paints and inks) our clients value the fact that we are often able to bring them surprising ideas and solutions from outside their own industry. We combine also technical understanding with business insights in order to evaluate the commercial potential for new technologies. Finally, our broad view of the industries that use formulation means that our assistance can be particularly valuable in strategic project assignments. We’ve collected together comments from some of our clients to give you an idea of how we work and what we could do for you. Because many of our assignments are commercially confidential, we’ve had to remove some client names. If you’d like to know more, just e-mail info@formulate.biz and let us know about your needs. “iFormulate is an expert team for household and personal care formulation issues. They provides a rapid response combined with excellent business understanding and flexibility” (Technology Manager, multinational FMCG company). “iFormulate was asked to design a one-day introduction to the basics of suspension formulation. They were very responsive to our particular requests and came well prepared. Particularly valuable were the many years of experience from industry of the instructor, which gave a productive discussion, inspired from real cases. I can highly recommend iFormulate” (Technology Specialist, mainland European based multinational). “Over the last year, iFormulate have provided invaluable support to us in the development of major national innovation programmes in formulation. Drawing on their in-depth and up-to-date knowledge and relationships in a wide range of formulating sectors, iFormulate have always met any brief on time and to a high standard. Specific activities have been varied and included innovation needs/gap analyses, strategy development, collaboration-building activities and developing market intelligence” (Darren Ragheb, Technology Theme Manager – Formulated Products, Chemistry Innovation KTN). “We are very happy with our cooperation with iFormulate. Due to their broad experience and many useful contacts in a wide range of industries they are doing a very good job” (Principal Scientist, leading international ingredients supplier based in mainland Europe). “Cogent has now worked with Jim and David at iFormulate on a number of formulation skills related projects and we’ve been impressed by their professionalism and commitment. They are knowledgeable, well connected in the industry, reliable and most importantly easy to work with” (Dr Jenny Clucas, Strategy Director Chemicals and Petrochemicals, Cogent Sector Skills Council). “We found iFormulate a vital partner in both establishing sound formulation science to our concept; and introducing us to those in the industry who could bring the product to life from a mass manufacture perspective” (NPD Manager, multinational cleaning products company).